Imagine that the world stands poised at the brink of oblivion, one press of a button away from total annihilation. Now imagine that you’re the only one who can stop it. The Spycraft roleplaying game places the fate of the entire world in your hands. 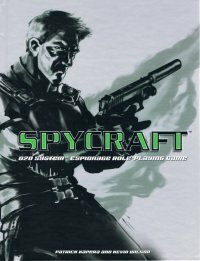 Spycraft introduces the world of espionage to the d20 system. As a superspy working for MI6, the CIA, or an Agency of your own creation, only you have the skills, the experience, and the gadgets to take on the greatest threats the world has ever known! Everything required to play any spy movie, television serial, comic book, or novel, all in one place. Fully d20 System(TM) Compatible Mechanics! Action-packed mechanics bring the feeling of any spy genre to vibrant life–using a system everyone knows. All New Classes! Play a faceman, fixer, pointman, snoop, soldier, or wheelman. Exhaustive Gear Section! Over 50 pages, containing everything from melee weapons to the most advanced tools of destruction, plus a comprehensive list of the most common standard-issue espionage equipment, gadgets, and vehicles. Unique Chase System! Players compete directly with the Game Control in a battle of wits, timing, and skill, choosing from maneuvers and combat actions that interact with each other every round. The Mastermind System! Rules for the Game Control to design and play a personalized criminal mastermind, pitting him against the agents… and the world! Complete Player Support! 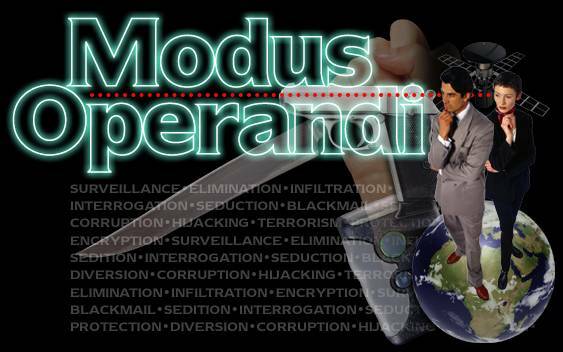 Advice, hints, and how-tos for everything from modern criminal investigation to tradecraft, the business of spying. Complete Game Control Support! Over 50 pages of material tailored just for Game Controls of the action-espionage genre. Instructions and rules for building formidable villains, challenging adventures, and intriguing NPCs.